In a globalized, highly interconnected world, integrity is the ultimate brand attribute. With many business transactions becoming less personal, customers and employees rely on new signals to perceive a company's trustworthiness. In this issue, discover the new frontier of business ethics and advice for building a high-trust culture at your company. CEOs: Do Your Employees Trust You? Create a culture of trust. Employees must behave in ways that align their interests with the interests of their customers. 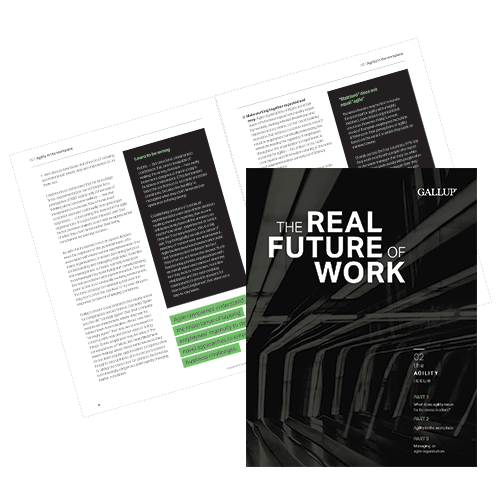 Find out how Gallup can advise you on a people strategy that promotes trust. Use data to understand your employees and predict future challenges. Build a culture that promotes trust among employees and customers.